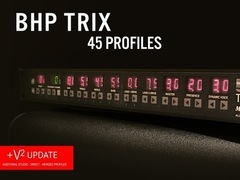 The BHP TRIX Profile Pack seeks to recreate the classic guitar tones from rigs and recordings that incorporated the MESA/Boogie TriAxis and TriAxis preamp, 2:90 power amp, Recto 4x12 combination. The Triaxis is one of the most versatile preamps ever made, and was probably most famously used by Dream Theater guitarist, John Petrucci. 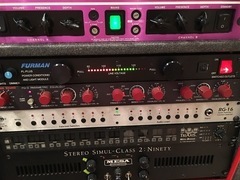 However, it's hardly just a metal preamp The TriAxis is an incredibly soulful preamp and is capable huge range of tones, from fat earthy cleans to heavy blues, all the way to crystal clear tones and crushing metal. 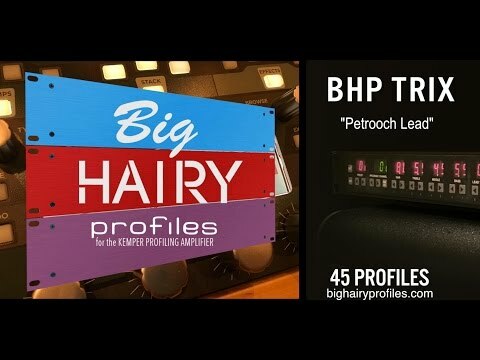 The BHG TRIX is a pack of 45 profiles for use with the Kemper Profiling Amplifier. Most of my profiles are made with recording in mind (even though they work great live), and many of them emulate recorded tones. Because of that, some of the profiles match the recorded EQ curve of an album. 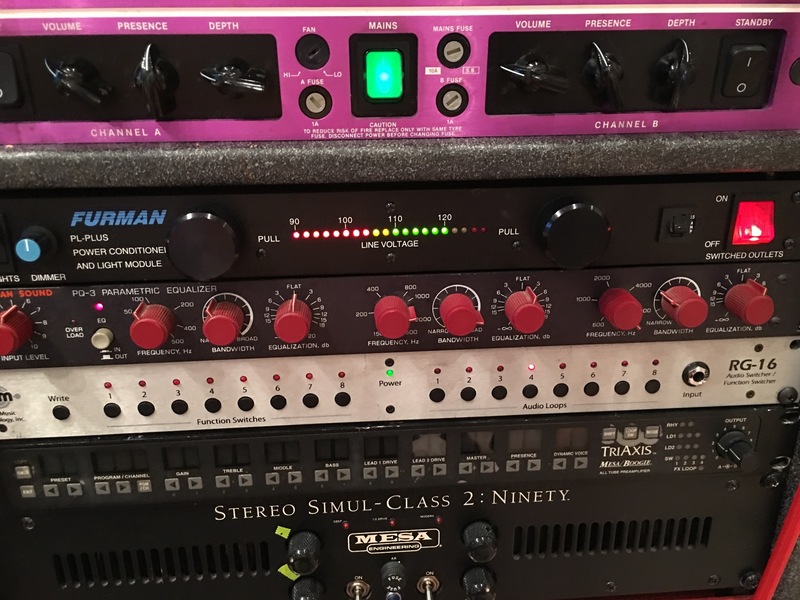 So with the V2 patches, I was thinking, "OK, if I was going to go play a live show and brought my ( insert preamp name here ), how would I dial in my channels. The Trix V2 patches are 7 new STUDIO, DIRECT, and MERGED profile, ranging from clean to full searing lead. It's the first time I've ever released Direct profiles. 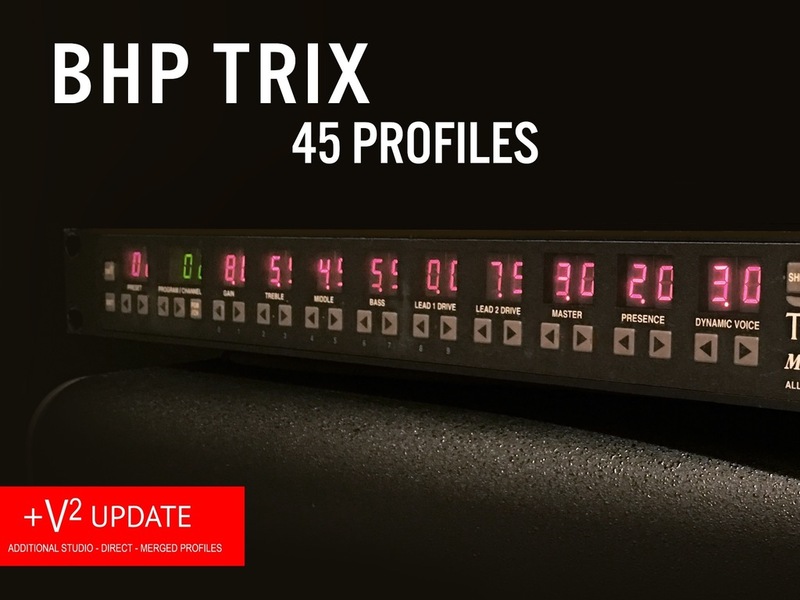 All of the Trix V2 profiles were profiled with Mesa 2:90 power amp. All of the V2 profiles are updates, so anyone who purchased a pack with V2 content will receive an update email link.